Present state: Demolished but a section of track is still present embedded in the footpath that now follows the track. Notes: Chapel Street was located at the northern end of the 2½-mile long Prestatyn to Dyserth Branch on the western edge of Prestatyn; the station was sometimes referred to as Prestatyn Chapel Street. The line had been opened in 1869 by the London & North Western Railway (LNWR) to carry lead and haematite from mines in the upper Prestatyn Valley down to the Chester and Holyhead Main line at Prestatyn. Passenger services were introduced onto the line in 1905 between Prestatyn and Dyserth. Chapel Street opened on 29 January 1906. Although shown as a 'halt' on Ordnance Survey maps the suffix never appeared on tickets or in timetables. 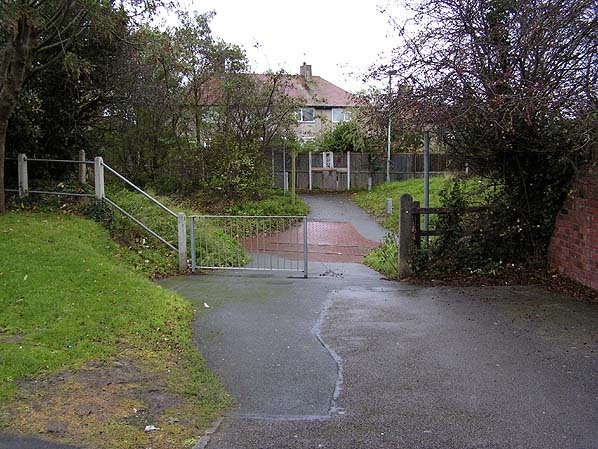 It consisted of nothing more than a short, low platform adjacent to a footpath crossing. At the time of opening Chapel Street was served by a ‘railmotor’ that ran between Prestatyn station and Dyserth. When the line opened there were eight services in each direction during the summer months which reduced to five during the winter, and no Sunday service, but by the summer of 1906 this had improved to 14 trains a day in each direction. fifteen on Saturday. Due to an increase in passenger numbers after the Great War, the railmotor was replaced with tank locomotives that could operate in push-and-pull mode. 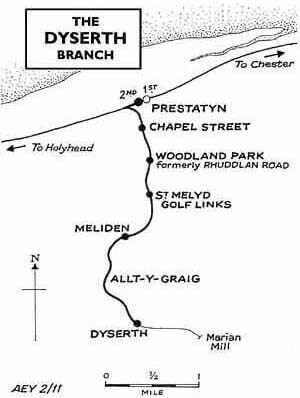 numbers the LMS opened two further stopping places on the Dyserth Branch: St Melyd Golf Course in 1923 and Alt-y-Graig in 1929. The passenger service continued to struggle financially, especially in the winter months, and the LMS withdrew the passenger service on 22 September 1930.. The line reverted to being purely a freight route, and stone trains continued to pass through Chapel Street regularly until 7 September 1973. Because there was a pedestrian crossing at Chapel Street a short section of track that had been part of the crossing survived in situ when the line was lifted. When the footpath was constructed this was retained as feature of interest. Looking south towards the site of Chapel Street during a visit to the Dyserth branch by the Welshman Railtour on 22 March 1963. 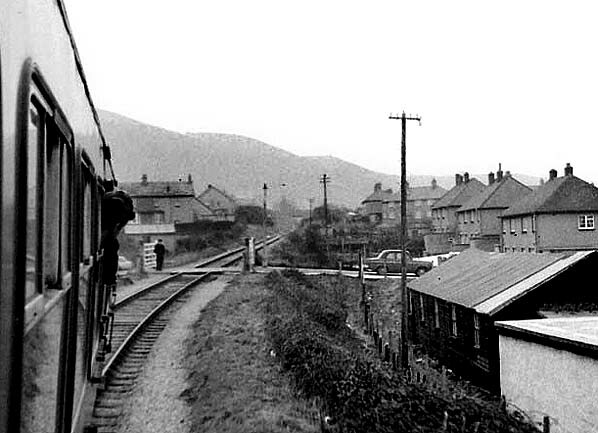 The level crossing seen in the picture was at Bryn Rhosyn and was installed circa 1958. 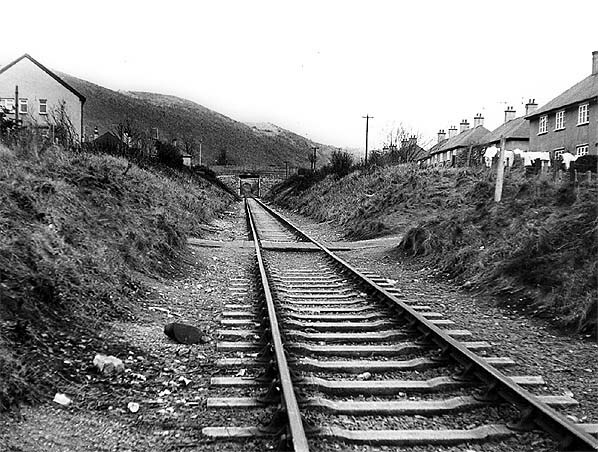 The Chapel Street Halt was beyond the crossing in the middle distance. Looking south at the site of Chapel Street in December 1972. The station was adjacent to the foot crossing on the left. Chapel Street looking south towards Dyserth in November 2010, from the same viewpoint as the picture above. Looking north at the site of Chapel Street in November 2010. 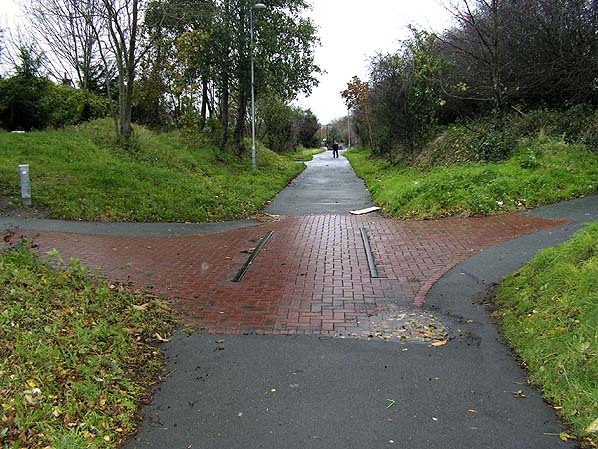 Because there was a crossing at this location a section of the line has survived and has been made into a feature of the footpath. The low platform was on the right, beyond the crossing. 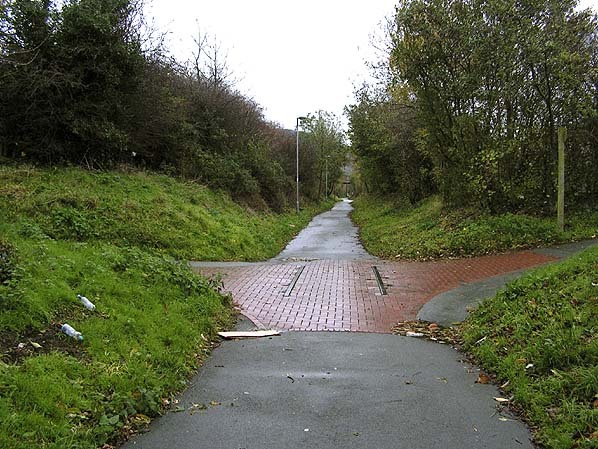 The footpath that led to Chapel Street from east of the line, seen in November 2010. Careful observation shows that two rails from the original line have been built into the footpath as a feature of interest. From this angle it almost looks as if there is still a railway here.